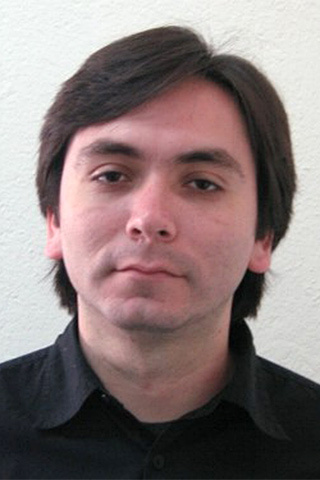 Ricardo P. Aguilera received his B.Sc. degree in electrical engineering from the Universidad de Antofagasta, Chile, in 2003; his M.Sc. degree in electronics engineering from the Universidad Tecnica Federico Santa Maria (UTFSM), Chile, in 2007; and his Ph.D. degree in Electrical Engineering from The University of Newcastle (UoN), Australia, in 2012. From 2012 to 2013, he was a Research Academic at UoN, where he was part of the Centre for Complex Dynamic Systems and Control. From 2014 to 2016, he was a Senior Research Associate at The University of New South Wales (UNSW), Australia, where he was part of the Australian Energy Research Institute (AERI). Since September 2016, he is with the School of Electrical and Data Engineerng, at the University of Technology Sydney (UTS), Australia, where he currently holds a Lecturer position. His main research interests include power electronics, and theoretical and practical aspects on model predictive control. Theoretical and practical aspects on model predictive control, power electronics, power conversion, renewable energy integration, control of microgrids, power quality. © 1986-2012 IEEE. In this paper, a suitable long prediction horizon (multistep) model predictive control (MPC) formulation for cascaded H-bridge inverters is proposed. The MPC is formulated to include the full steady-state system information in terms of output current and output voltage references. Generally, basic single-step predictive controllers only track the current references. As a distinctive feature, the proposed MPC also tracks the control input references, which in this case is designed to minimize the common-mode voltage (CMV). This allows the controller to address both output current and CMV targets in a single optimization. To reduce the computational effort introduced by a long prediction horizon implementation, the proposed MPC formulation is transformed into an equivalent optimization problem that can be solved by a fast sphere decoding algorithm. Moreover, the benefits of including the control input references in the proposed formulation are analyzed based on this equivalent optimization problem. This analysis is key to understand how the proposed MPC formulation can handle both control targets. Experimental results show that the proposal provides an improved steady-state performance in terms of current distortion, inverter voltages symmetry, and CMV. © 1986-2012 IEEE. Vehicle to grid (V2G) reactive power compensation using electric vehicle (EV) onboard chargers helps to ensure grid power quality by achieving unity power factor operation. However, the use of EVs for V2G reactive power compensation increases the second-order harmonic ripple current component at the DC-side of the charger. For single-phase, single-stage EV chargers, the ripple current component has to be supplied by the EV battery, unless a ripple compensation method is employed. Additionally, continuous usage of EV chargers for reactive power compensation, when the EV battery is not charging from the grid, exposes the EV battery to these undesirable ripple current components for a longer period and discharges the battery due to power conversion losses. This paper presents a way to provide V2G reactive power compensation through a boost inverter-based single stage EV charger and a DC-side capacitor without adversely affecting the EV battery. The operation of the boost inverter-based EV charger with second-order harmonic and switching frequency ripple current reduction, the dynamic behavior of the system, the transition between different operating modes, the DC-side capacitor voltage control above a minimum allowed voltage, and the DC-side capacitor sizing are extensively analyzed. The performance of the proposed system is verified using an experimental prototype, and presented results demonstrate the ability of the system to provide V2G reactive power compensation both with and without the EV battery. Copyright © 2018 John Wiley & Sons, Ltd. In this paper, an adaptive dispatch strategy is presented to maximize the revenue for grid-tied wind power plant coupled with a battery energy storage system (BESS). The proposed idea is mainly based on time-varying market-price thresholds, which are varied according to the proposed algorithm in an adaptive manner. The variable nature of wind power and market price signals leads to the idea of storing energy at low price periods and consequently selling it at high prices. In fact, the wind farm operators can take advantage of the price variability to earn additional income and to maximize the operational profit based on the choice of best price thresholds at each instant of time. This research study proposes an efficient strategy for intermittent power dispatch along with the optimal operation of a BESS in the presence of physical limits and constraints. The strategy is tested and validated with different BESSs, and the percentage improvement of income is calculated. The simulation results, based on actual wind farm and market-price data, depict the proficiency of the proposed methodology over standard linear programming methods. © 2017 Elsevier Ltd This paper proposes a framework to develop an optimal power dispatch strategy for grid-connected wind power plants containing a Battery Energy Storage System (BESS). Considering the intermittent nature of wind power and rapidly varying electricity market price, short-term forecasting of these variables is used for efficient energy management. The predicted variability trends in market price assist in earning additional income which subsequently increase the operational profit. Then on the basis of income improvement, optimal capacity of the BESS can be determined. The proposed framework utilizes Dynamic Programming tool which can incorporate the predictions of both wind power and market price simultaneously as inputs in a receding horizon approach. The proposed strategy is validated using real electricity market price and wind power data in different scenarios of BESS power and capacity. The obtained results depict the effectiveness of the strategy to help power system operators in ensuring economically optimal energy dispatch. Moreover, the results can aid power system planners in the selection of optimal BESS capacity for given power ratings in order to maximize their operational profits. © 1972-2012 IEEE. In this paper, we present modifications to the sphere decoder initially introduced in the work of Geyer and Quevedo and modified in the work of Karamanakos et al. that significantly reduce the computation times during transients. The relative position of the unconstrained solution of the integer quadratic program underlying model predictive control (MPC) with respect to the convex hull of the (truncated) lattice of integer points is examined. If it is found that the unconstrained solution does not lie within the convex hull - a phenomenon that is observed mostly during transients - then a projection is performed onto the convex hull. By doing so, a new sphere that guarantees feasibility and includes a significant smaller number of candidate solutions is computed. This reduces the computation time by up to three orders of magnitude when solving the optimization problem at hand. Nonetheless, the reduction of the computational burden comes at a cost of (mild) suboptimal results. The effectiveness of the proposed algorithm is tested with a variable speed drive system consisting of a three-level neutral point clamped voltage source inverter and a medium-voltage induction machine. Based on the presented results, the sphere decoding algorithm with the proposed refinements maintains the very fast transient responses inherent to direct MPC. Moreover, it is observed that the occasional implementation of suboptimal solutions does not lead to a deterioration of the system performance. © 2018 The Institution of Engineering and Technology. This study aims to propose a methodology for a hybrid wind-solar power plant with the optimal contribution of renewable energy resources supported by battery energy storage technology. The motivating factor behind the hybrid solar-wind power system design is the fact that both solar and wind power exhibit complementary power profiles. Advantageous combination of wind and solar with optimal ratio will lead to clear benefits for hybrid wind-solar power plants such as smoothing of intermittent power, higher reliability, and availability. However, the potential challenges for its integration into electricity grids cannot be neglected. A potential solution is to utilise one of the energy storage technologies, though all of them are still very expensive for such applications, especially at large scale. Therefore, optimal capacity calculations for energy storage system are also vital to realise full benefits. Currently, battery energy storage technology is considered as one of the most promising choices for renewable power applications. This research targets at battery storage technology and proposes a generic methodology for optimal capacity calculations for the proposed hybrid wind-solar power system. IEEE The implementation of multi-step direct model predictive control (MPC) for DC-DC boost converters overcomes the well-known issue of non-minimum phase behaviour. However, it can lead to a high computational burden depending on the prediction horizon length. In this work, a simple and computationally efficient MPC method for DC-DC boost converters is proposed. The key novelty of the presented control strategy lies in the way dynamic references are handled. The control strategy is capable of providing suitable references for the inductor current and the output voltage, without requiring additional control loops. Moreover, this reference design allows the predictive controller to be implemented with a single-step prediction horizon. Thus, a significant reduction in the required real-time calculations executed in the control hardware is achieved. To obtain constant switching frequency, the power switch commutation instants within a sampling period are considered as control inputs. Therefore, the predictive controller is formulated as a continuous control set MPC (CCS-MPC). Additionally, the proposed formulation is able to deal with different operation modes of the converter without changing the controller structure. Finally, an observer is used to dynamically modify the reference to provide robustness to system parameter uncertainties. Simulation and experimental results show an accurate tracking of dynamic inductor current and output voltage references, while respecting the restrictions on maximum inductor current levels of the converter. © 1982-2012 IEEE.This work presents a predictive control strategy for grid-connected Cascaded H-Bridge (CHB) converters under unbalanced power generation among each converter phase. The proposed controller belongs to the Finite-Control-Set Model Predictive Control (FCS-MPC) family and is designed to extract unbalanced power from each CHB converter phase while providing balanced power to the grid. The key novelty of this strategy lies in the way the unbalanced power generation among the phases is explicitly considered into the optimal control problem. Power balance is achieved by enforcing the CHB converter to work with a suitable zero-sequence voltage component. The proposed predictive controller is directly formulated in the original abc-framework to account for the commonmode voltage. Simulation and experimental results are provided to verify the effectiveness of the proposed FCS-MPC strategy. © 2016 IEEE.In this study, a model predictive control (MPC) strategy that combines finite-control-set MPC with selective harmonic elimination (SHE) modulation pattern in its formulation is proposed to govern multilevel power converters. Based on a desired operating point for the system state (converter current reference), an associated predefined SHE voltage pattern is obtained as a required steady-state control input reference. Then, the cost function is formulated with the inclusion of both system state and control input references. According with the proposed reference and cost function formulation, the predictive controller prefers to track the converter output current reference in transients, while preserving the SHE voltage pattern in steady state. Hence, as evidenced by experimental results, a fast dynamic response is obtained throughout transients while a predefined voltage and current spectrum with low switching frequency is achieved in steady state. © 2017 IEEE.This paper presents a model predictive switching pattern control (MPSPC) for a current-source converter (CSC), which achieves superb low-order harmonics elimination performance in steady state and improved transient responses. Based on a proposed space-vector-based selective harmonic elimination (SHE) method and prediction of load current at the next sampling instant, MPSPC prefers to following a precalculated SHE-pulse width modulation (PWM) pattern in steady state, and governing the CSC through a model predictive control (MPC) approach during transients. In comparison with existing schemes, the advantages of MPSPC are threefold: First, quantization error, introduced by a constant sampling frequency in MPC and degrading steady-state low-order harmonic elimination, is mitigated in the proposed scheme. Second, there is no weighting factor in the cost function, as used in existing schemes. Finally, MPSPC is totally realized based on one-step prediction, which simplifies the structure of the scheme. Both simulation and experimental results verify the steady state and dynamic performance of MPSPC with different SHE-PWM patterns. © 1986-2012 IEEE. AC electric locomotives that use a number of interleaved four-quadrant converters generate high-frequency switching harmonics which may stimulate certain resonances in traction power supply systems (TPSSs). A windowed selective harmonic elimination pulse-width modulation (SHE-PWM) method is proposed to suppress such resonances. Owing to the windowed design and the precalculated solutions, the proposed method covers the wide potential resonant frequency range and addresses the resonant frequency variation while keeping the low switching frequency of the traction converters. The proposed windowed SHE-PWM is fully tested with a closed-loop controller in a simulation model with the TPSS and the ac electric locomotive. Comparative simulation results show that the windowed SHE-PWM is an effective alternative that overcomes the resonance suppression limitations of the conventional phase-shifted PWM (PS-PWM). The performance of proposed windowed SHE-PWM on an experimental equivalent resonant circuit is further evaluated and compared with PS-PWM. Both simulation and experimental results verify the effectiveness and feasibility of the proposed method. © 2017 IEEE. This note addresses the problem of feedback control with a constrained number of active inputs. This problem is known as sparse control. Specifically, we describe a novel quadratic model predictive control strategy that guarantees sparsity by bounding directly the l 0 -norm of the control input vector at each control horizon instant. Besides this sparsity constraint, boun ded constraints are also imposed on both control input and system state. Under this scenario, we provide sufficient conditions for guaranteeing practical stability of the closed-loop. We transform the combinatorial optimization problem into an equivalent optimization problem that does not consider relaxation in the cardinality constraints. The equivalent optimization problem can be solved utilizing standard nonlinear programming toolboxes that provides the input control sequence corresponding to the global optimum. © The Institution of Engineering and Technology. This study presents a model predictive control (MPC) with active damping function for current-source rectifiers (CSRs). Since optimal modulating vector selection process of MPC leads to spread harmonic distribution in pulse-width-modulated (PWM) waveform, inductor-capacitor (LC) resonance can be easily excited. Conventional MPC was designed without the consideration of active damping, since it is for low-power CSRs with large line resistors physically connected inside the circuit, whereas the proposed scheme achieves active damping function through a specially developed cost function, which realizes active damping function even for high-power CSRs with lightly damped LC circuit. In comparison with conventional MPC, the advantages of the proposed scheme are three-fold: first, the proposed scheme is totally based on MPC concept, without conventional linear controller used. Second, with the active damping term added in the developed cost function, active damping effect can be involved into MPC, which extends MPC to high-power CSRs with lightly damped LC circuit. Last but not least, the proposed scheme is realized in the dq-axis synchronous frame, which allows the use of simple low-pass filters instead of complex band-stop filters to obtain the damping current. A single-objective predictive control method that deals with four main control objectives applied to a multivariable single-phase three-level neutral-point-clamped converter operating as an active power filter is proposed in this paper. The four control objectives are to self-support the dc-bus voltage under load variations, to compensate the reactive power and the current harmonics, and to balance the dc capacitor voltages by using a predefined combination of the redundant switching states of the converter. The main contribution of the proposed method is that these objectives are accomplished without using weighting factors in the cost function, which eliminates problems such as multiobjective optimization or additional empirical procedures for determination of these factors. As a result, the method is easy to implement and rapidly selects the optimal voltage to improve the dynamic-state performance. Experimental results from a 2-kVA prototype are presented to prove that the method is valid for single-phase compensation. The well-known effect of model parameter errors' issue, which is inherent in predictive control methods, is also tested to confirm that the harmonic distortion in the grid current is below 5% even when the predictive model has a 25% error between actual and theoretically estimated grid impedance values. In this paper we present an identification algorithm for a class of continuous-time hybrid systems. In such systems, both continuous-time and discrete-time dynamics are involved. We apply the expectation-maximisation algorithm to obtain the maximum likelihood estimate of the parameters of a discrete-time model expressed in incremental form. The main advantage of this approach is that the continuous-time parameters can directly be recovered. The technique is particularly well suited to fast-sampling rates. As an application, we focus on a standard identification problem in power electronics. In this field, our proposed algorithm is of importance since accurate modelling of power converters is required in high- performance applications and for fault diagnosis. As an illustrative example, and to verify the performance of our proposed algorithm, we apply our results to a flying capacitor multicell converter. © 2014 © 2014 Taylor & Francis. In this chapter we revise basic principles and methods of model predictive control with a view towards applications in power electronics and drives. The simplest predictive control formulations use horizon-one cost functions, which can be related to well-established dead-beat controllers. Model predictive control using larger horizons has the potential to give significant performance benefits, but re quires more computations at each sampling instant to solve the associated optimization problems. For particular classes of system models, we discuss practical algorithms, which make long-horizon predictive control suitable for power electronics applications. © Springer International Publishing Switzerland 2014. © 2017 IEEE. This paper proposes a sequential Phase-Shifted Model Predictive Control (PS-MPC) strategy for multicell power converters. The key novelty of this proposal lies in the way the predictive control strategy is formulated to fully exploit a phase-shifted pulse width modulation (PS-PWM) stage. Normally, when using a linear controller along with a standard PS-PWM stage, the modulator receives the same duty cycle for all the internal carriers. In contrast, by means of an appropriate choice of synchronized models for each carrier, the proposed predictive controller obtains independent optimal duty cycles for each carrier in a sequential manner. This allows one to formulate the optimal control problem to govern not only the output current but also the internal floating capacitor voltages, similarly to the finite-control-set MPC (FCS-MPC) case. As a result, the proposed sequential PS-MPC can attain a faster floating voltage balancing dynamic when compared to a standard PS-PWM implementation. Moreover, it generates a fixed-spectrum in the steady state with a constant commutation rate, which outperforms a standard FCS-MPC strategy. Simulation results of the proposed sequential PS-MPC strategy governing a single-phase four-level flying capacitor converter are presented to verify its dynamic and steady-state performance. © 2018 IEEE. This paper shows the performance of a LCL-type grid-connected three-phase H-bridge neutral-point-clamped converter photovoltaic inverter controlled with conventional Finite Control Set Model Predictive Control scheme. The main issue with this application is the potential resonance between the converter and the grid side, which must be fully avoided. This control problem is addressed by including a simplified active damping technique based on series and parallel virtual resistors to the conventional predictive scheme. Furthermore, current reference tracking for active and reactive power injected to the grid are achieved. Acuna, P, Aguilera, RP, McGrath, B, Lezana, P, Ghias, A & Pou, J 2018, 'Sequential Phase-Shifted Model Predictive Control for a Single-Phase Five-Level H-bridge Flying Capacitor Converter', 2018 ASIAN CONFERENCE ON ENERGY, POWER AND TRANSPORTATION ELECTRIFICATION (ACEPT), Asian Conference on Energy, Power and Transportation Electrification (ACEPT), IEEE, Singapore, SINGAPORE. © 2018 IEEE. This paper proposes a sequential Phase-Shifted Model Predictive Control (PS-MPC) strategy for three-level Active Neutral Point Clamped (3L-ANPC) converter. The proposed predictive control strategy is formulated to fully exploit a phase-shifted pulse width modulation (PS-PWM) stage. By means of an appropriate choice of synchronized average models for each carrier, the proposed predictive controller obtains independent optimal duty cycles for each carrier in a sequential manner. This allows one to formulate the optimal control problem not only to govern the output current but also to balance the dc-link capacitor voltages, similarly to the finite-control-set MPC (FCS-MPC) case. As evidenced by the simulation results, the 3L-ANPC converter governed by the proposed sequential PS-MPC can attain a faster dc-link voltage balancing dynamic when compared to a standard PS-PWM implementation. Moreover, it generates an output voltage with fix-spectrum in the steady state with a constant commutation rate and evenly distributed power losses, which outperforms a standard FCS-MPC strategy. © 2016 IEEE. The superior harmonic performance of the modular multilevel converter facilitates reduction in passive filtering requirements. However, in practice, any volume and weight reduction brought about by using smaller filtering components, is offset by the increase in stored capacitor energy inside the converter. This paper proposes injection of high-frequency circulating currents and zero-sequence voltages, that significantly reduce capacitor voltage ripple. This can ultimately facilitate use of smaller capacitances. Optimal reference voltages and currents are designed off-line, with a model predictive control scheme used to track the references on-line while also compensating for any disturbances introduced by the practical system. © 2017 IEEE. A model predictive control (MPC) for an onboard hybrid energy storage system (HESS) in Light Rail Vehicles is proposed. The HESS uses batteries and supercapacitors (SCs). The main objective of the controller is to reduce the system losses while maintaining the supercapacitors state-of-charge (SOC) in a suitable range. To do this, a hierarchical control (Master/Slave) is proposed: a master energy management MPC controller which generates the battery current reference and an slave MPC algorithm controls the power switches of the converters. Additionally, the capability to constraint the battery current reference and battery current is achieved by both controllers respectively. Simulation results, carried out in MATLAB/Simulink, show that the SC SOC is maintained in a suitable range. In this paper we present modifications in the sphere decoder initially introduced in  and modified in  that allow for its implementation in transient operation. By investigating the geometry of the integer problem underlying direct model predictive control (MPC), a new sphere that guarantees feasibility and includes a significant smaller number of candidate solutions is computed. In a first analysis, the computational complexity can be reduced by up to 99.7% when a variable speed drive system consisting of a three-level neutral point clamped (NPC) voltage source inverter and a medium-voltage induction machine is examined. As also shown, optimality is sacrificed only to a limited extent, thus maintaining the very fast transient response inherent to direct MPC. Aguilera, RP, Acuna, P, Su, X, Lezana, P & McGrath, B 2017, 'Sequential Phase-Shifted Model Predictive Control for Multicell Power Converters', 2017 IEEE SOUTHERN POWER ELECTRONICS CONFERENCE (SPEC), IEEE Southern Power Electronics Conference (SPEC), IEEE, Puerto Varas, CHILE, pp. 764-769. This paper proposes a self-tuning model predictive direct power control (MPDPC) strategy for power flow control and power quality improvement in grid-connected power converters. At each sampling instant, a fuzzy logic controller is used to determine online the best weighting factor values for a given operating point. These values are then used to solve the multi-objective optimal control problem associated to the MPDPC. The optimal solution that minimizes the multi-objective cost function is chosen as the input (power switch state). The proposed method is examined through a case study and verified numerically via MAT LAB SIMULINK. A comparative study is conducted to demonstrate the effective performance of this approach. As a result of the proposed weighting factor online tuning, an improved performance in terms of total harmonic distortion and average switching frequency is attained when compared with fixed weighting factors. © 2015 IEEE.In this work, a Finite Control Set Model Predictive Control (FCS-MPC) strategy for Cascaded H-bridge (CHB) inverters is proposed. The key novelty of our proposal comes from the way the cost function is designed. Generally, in standard FCS-MPC formulations for power converters, the cost function only considers the current tracking error. In this proposal, the proposed cost function also takes into account the control input tracking error. This allows one to obtain a reduced common-mode voltage during the steady-state while achieving a fast dynamic response during transients, similarly to the one provided by standard FCS-MPC. To account for calculation time, a fast-optimization algorithm based on sphere decoding is also considered. To verify the performance of the proposed predictive strategy, simulation results for a three phase five-level CHB inverter governed by the proposed FCS-MPC are presented. © 2015 IEEE.In this work, a Model Predictive Control (MPC) strategy that combines Finite-Control-Set MPC (FCS-MPC) with Selective Harmonic Elimination (SHE) modulation pattern in its formulation is proposed to govern power converters. The key idea here is to define a desired steady-state in terms of the converter current and voltage. To do this, based on the converter current (system state) reference, an associated predefined SHE pattern is used as control input reference. Both system state and control references are included in the cost function. Therefore, during transients, the resulting predictive controller prefers to track the converter current while preserving the SHE pattern during steady-state. Thus, a fast dynamic response can be achieved throughout transients while a predefined voltage and current spectrum with low commutation frequency is obtained in steady-state by adjusting only the weighting factor of the cost function. Simulation results of the proposed SHE-MPC strategy when governing a Cascaded H-Bridge (CHB) converter are presented to highlight the benefits of the proposed predictive controller. © 2015 IEEE.Multilevel cascaded H-bridge converters are becoming popular for next generation large-scale photovoltaic power converters. However, the power generation levels in the three phases can be significantly unequal, especially in a large plant, owing to the non-uniform irradiance levels and/or ambient temperatures. This paper proposes the delta-connected cascaded H-bridge converter for large-scale photovoltaic farms. Compared to the existing star connection, the delta connection reduces the converter overrating required. Experimental results obtained from a 430 V, 10 kW, three-phase, seven-level, delta connected cascaded H-bridge converter prototype are provided to demonstrate the superiority of the delta connection. © 2015 IEEE.This work proposes a Model Predictive Control (MPC) strategy for Cascaded H-Bridge (CHB) converters under unbalanced power generation among each converter phase. Therefore, the control target is to extract unbalanced power from the dc-sources while providing balanced power to the grid. The key novelty of this proposal lies in the way the unbalanced power generation issue is explicitly considered into the optimal control problem. The power balance is achieved by enforcing the CHB to work with a suitable zero voltage components. Thus, to account for the common-mode voltage, the proposed MPC is directly formulated in the original abc-framework. To verify the effectiveness of this proposal, simulation results of the proposed MPC governing a five-level CHB converter are provided. © 2016 IEEE.Recently, an efficient optimization strategy based on the sphere decoding algorithm (SDA) has been proposed to solve the optimal control problem underlying direct model predictive control (MPC) formulations with long horizons. However, as will be elucidated in this work, this optimization algorithm presents some limitations during transient operation of power converters, which increase the execution time required to obtain the optimal solution. To overcome this issue, the present work presents an improved version of the SDA for direct MPC that is not affected by transient operations of the power converter. The key novelty of the proposal is to reduce the execution time of the SDA when the system is in a transient by projecting the unconstrained optimal solution onto the envelope of the original finite control set. As evidenced by the simulation results, the proposed SDA is able to quickly compute the optimal solution for the long-horizon direct MPC during both steady-state and transient operation of the power converter. © 2016 IEEE. Boost converters are widely used in several applications such as solar PV systems, energy storage systems, etc. In order to improve its dynamic performance, several model predictive control (MPC) strategies have been proposed to govern this DC-DC converter. However, in general, they require long prediction horizons to achieve a stable closed-loop due to its well-known non-minimum phase behavior. A simple but effective MPC strategy for DC-DC boost converters is proposed in this work. The advantage of this proposal is that it requires only one-step prediction horizon to govern the converter. Moreover, the proposed controller belongs to the continuous control set MPC (CCS-MPC) family, which provides a constant switching frequency. © 2009 EUCA. Multilevel Converters (MCs) have emerged as a promising alternative to traditional two level converters. These topologies present a better output voltage quality due to the reduction of the voltage steps by increasing the voltage number levels. Within the MC family, flying capacitor converters present a special attraction due to the easy way to increase output voltage levels by adding cells. Recently model predictive control algorithms have reached a special interest in MCs applications. In particular, finite control set predictive control algorithms applied to flying capacitor converters have shown that it is possible to achieve a good performance in the control of capacitor voltages and output current. For that purpose, at each sample time the controller explores all the switching states and determines the optimal one to be applied. However, the number of switching states grow exponentially in relation to the number of cells. This increases the time that the algorithm takes to find the optimal switching state. In this paper we present an off- line strategy to reduce the number of switching states to be explored in a finite control set predictive algorithm by using only those which produce that the system state point towards to the reference. Moreover, a sampling period design is presented to guarantee that the system state remains inside of a positive invariant set. © 2015 EPE Association and IEEE. In this paper, a recently proposed reduced order model for Modular Multilevel Converters is validated and used to analyze the role of the circulating current in the power transfer inside the converter. This model simplifies the analysis of the converter by removing the discontinuities and reducing the order of the system. Therefore, continuous analytical expressions can be obtained and analyzed. The reduced order is used to model the dynamics of the state space variables of the converter. The results show that, the higher the number of modules used in the converter, the more accurate are the results of the model. Moreover, the influence of different harmonic components of the circulating current over the module's voltage ripple, and the influence of the circulating current components on the power transfer in the converter are analyzed. Inter alia, the analysis shows the importance of the even order harmonics of the circulating current in the reactive power transfer within the converter. © 2015 IEEE. Development of control strategies for grid connected power converters is a fundamental aspect for applications such as integration of renewable energy sources, motor drives and energy storage systems. Hence, this topic has received significant attention from both academic and industry researchers. This paper presents the use of the Reduced Optimal Switching Sequence Direct Power Control (ROSS-DPC) together with a dynamic voltage reference design strategy for grid connected power converters. This predictive controller allows the converter to regulate the dc-link voltage reference and to track the instantaneous active and reactive power commands. Simulation results validates the proposed control strategy, which provides high performance during both transient and steady states. © IFAC.In this paper we propose a novel quadratic model predictive control technique that constrains the number of active inputs at each control horizon instant. This problem is known as sparse control. We use an iterative convex optimization procedure to solve the corresponding optimization problem subject to sparsity constraints defined by means of the 0-norm. We also derive a sufficient condition on the minimum number of active of inputs that guarantees the exponential stability of the closed-loop system. A simulation example illustrates the benefits of the control design method proposed in the paper. In this work, we propose a dual-stage control approach for a three-phase four-level Flying Capacitor Converter. The key idea of this proposal is to combine two control strategies to govern this converter. Thus, if the system state (output currents and floating voltages) is far from the desired reference, Finite-Control-Set Model Predictive Control is used to quickly lead the system towards the reference. Once the system state reaches a neighborhood of the reference, the propose control strategy switches to a PWM-based linear controller to finally achieve the desired reference in a gentle manner. © 2013 IEEE. © 2014 Engineers Australia. This paper proposes a reference design technique for the control of Modular Multilevel Converters. Assuming balanced operation, a reduced-order model for the power converter is developed and its state trajectories are characterized in closed form. This allows one to specify desired references for the current and voltage at the load, and also for the circulating current and capacitor voltages in the converter. A simulation study using finite-set constrained predictive control illustrates advantages of the proposed method. Predictive-Direct Power Control (P-DPC) is an attractive predictive control technique for AC/DC converters. This control strategy considers a dynamic power model of converter to forecast possible future converter behaviours. Thus, P-DPC provides an optimal switching pattern in order to directly control the active and reactive powers. Nevertheless, as will be shown in this work, this control method limits the converter operation range to a small power angle. In this work, we propose an improved P-DPC strategy, which allows one to extend the power angle operation range of an AC/DC converter while improving its power quality. © 2013 IEEE. Model predictive direct current control (MPDCC) has emerged as a promising control scheme for high-power power electronic applications, achieving very low current distortion levels and fast dynamic responses. This is achieved by addressing the current control and the modulation problems in one computational stage. For MPDCC the issue of closed-loop stability has not yet been investigated. In this paper, it will be shown that the MPDCC algorithm guarantees stability, i.e. the load currents are moved into given bounds and kept inside of these bounds. It will also be shown that - by slightly modifying the MPDCC algorithm - robustness to parameter uncertainties can be established. © 2013 IEEE. This work presents a switched Model Predictive Control (MPC) formulation for Flying Capacitor Converters (FCC's). The key idea of our proposal is to use standard Finite Control Set MPC (FCS-MPC) to lead the system to a region near to the desired reference, e.g. during reference changes. Once the system state is close to the reference, the optimal solution of Explicit MPC will be used to finally achieve the desired reference. The actuation of this local controller will be modulated using a PWM stage. As an illustrative example we apply this proposal to control an FCC. Thus, the output current control as well as the balancing of the floating voltages will be achieved with a zero steady state error and a constant switching frequency. © 2012 IEEE. This paper studies stability of Model Predictive Control for systems with a finite input alphabet. Since this kind of systems may present a steady-state error under closedloop control, the forms is on stability in the sense of ultimate boundedness of solutions. To derive suffcient conditions for stability, two different approaches are presented. The first one approximates the finite input alphabet via saturation-control allowing us to analyze the problem from a robust control perspective. In the second approach, a direct analysis of the problem is carried out. The results thus obtained are shown to be less conservative regarding ultimate bounded set than those obtained via the robust control approach. © 2011 IFAC. In the present work, we provide sufficient conditions for local practical stability for a specific class of power converters controlled via Finite Control Set Model Predictive Control which can be modeled as linear time-invariant systems with quantized input. In addition, we also establish bounds on the steady state behaviour of such systems. As illustrative examples, we apply our results to two converters, namely, a buck DC-DC converter, and a 2-level DC-AC inverter in a dq-coordinate frame. © 2011 IEEE. Finite Control Set Model Predictive Control has emerged as a promising control technique for Power Converters due to the fact that the inherent non-linearity of these systems can be taken into account. In addition, this strategy directly provides the switching action to be applied to the converter; consequently, additional modulation stages are not required. Despite these advantages, stability for this class of predictive control technique remains as an open problem. In the present work, we provide insights into the closed-loop stability for the Finite Control Set Model Predictive Control. As an illustrative example, we apply these stability guidelines to a Multicell Converter. ©2010 IEEE. We present a model predictive controller for closed loop control of an active front-end rectifier. Our method operates in discrete-time and does not require additional modulators or external control loops. The key novelty of the control algorithm presented lies in the way dynamic references are handled. Simulation studies illustrate that fast and accurate tracking of dynamic dc-voltage and reactive power references can be achieved, while respecting restrictions on maximum power levels of the rectifier. ©2010 IEEE. Aguilera, R, Quevedo, D & Lezana, P 2010, 'Predictive Control of an Asymmetric Multicell Converter with Floating Cells', IEEE INTERNATIONAL SYMPOSIUM ON INDUSTRIAL ELECTRONICS (ISIE 2010), IEEE International Symposium on Industrial Electronics (ISIE), IEEE, Bari, ITALY, pp. 3165-3170. Aguilera, RP & Quevedo, DE 2009, 'Capacitor Voltage Estimation for Predictive Control Algorithm of Flying Capacitor Converters', 2009 IEEE INTERNATIONAL CONFERENCE ON INDUSTRIAL TECHNOLOGY, VOLS 1-3, IEEE International Conference on Industrial Technology, IEEE, Churchill, AUSTRALIA, pp. 1471-1476. Finite Control Set Model Predictive Control (FCS-MPC) is a novel and promising control scheme for power converters and drives. Many practical and theoretical issues have been presented in the literature, showing good performance of this technique. The present work deals with one of the most relevant aspects of any controller, namely, the steady-state operation. As will be shown, basic FCS-MPC formulations can be enhanced to achieve a zero average steady-state error. We focus on a simple H-Bridge power converter with two complementary switches and discuss benefits and drawbacks of our proposal. ©2009 IEEE. Lezana, P, Aguilera, R & Quevedo, D 2009, 'Steady-State Issues with Finite Control Set Model Predictive Control', IECON: 2009 35TH ANNUAL CONFERENCE OF IEEE INDUSTRIAL ELECTRONICS, VOLS 1-6, 35th Annual Conference of the IEEE-Industrial-Electronics-Society, IEEE, Porto, PORTUGAL, pp. 1663-+. Multilevel Converters (MCs) have emerged as a promising alternative to traditional two level converters. MCs use an arrangement of several semiconductors to synthesize high quality output voltage levels. Unfortunately, as a consequence of using more switching elements, MCs are, in general, more likely to be affected by faults, than their two level counterparts. In this paper, we propose a finite set constrained predictive control method for MCs, which is aimed at achieving robustness to failures in the semiconductors. We focus on three-phase multicell flying capacitor converters and show that, by carefully designing switching sequences, faults can be isolated from measurements provided by a single voltage sensor per phase. When faults occur, the proposed controller reconfigures the converter to provide to the load voltages which are similar to those obtained under normal, i.e., fault free, operating conditions. © 2008 IEEE. High power cycloconverter (CCV) fed drives are widely used in mining plants for ore processing. Actually, transformers for CCV are manufactured under IEEE Standards for rectifier power transformers, considering harmonics losses only. However, when the drive operates at full power and variable speed, interharmonics currents can cause additional losses and overheating. In this work, the analysis of an actual CCV-drive with experimental measurements is presented, including a model for estimation of the interharmonic losses, considering the most relevant spectral components around the fundamental component. These losses are relevant and new considerations for transformer design are proposed. © 2008 IEEE. Aguilera, RP, Quevedo, DE, Summers, TJ & Lezana, P 2008, 'Predictive Control Algorithm Robustness for Achieving Fault Tolerance in Multicell Converters', IECON 2008: 34TH ANNUAL CONFERENCE OF THE IEEE INDUSTRIAL ELECTRONICS SOCIETY, VOLS 1-5, PROCEEDINGS, 34th Annual Conference of the IEEE-Industrial-Electronics-Society, IEEE, Orlando, FL, pp. 3193-+. Pontt, J, Rodriguez, SMJ, Martin, JS, Aguilera, R, Rebolledo, J & Dixon, J 2007, 'Up-rating of electrical drives in mining installations', CONFERENCE RECORD OF THE 2007 IEEE INDUSTRY APPLICATIONS CONFERENCE FORTY-SECOND IAS ANNUAL MEETING, VOLS. 1-5, 42nd Annual Meeting of the IEEE-Industry-Applications-Society, IEEE, New Orleans, LA, pp. 1741-+. Pontt, J, Rodriguez, J, Martin, JS & Aguilera, R 2007, 'Mitigation of sympathetic interaction between power transformers fed by long Over Head Lines caused by inrush transient currents', CONFERENCE RECORD OF THE 2007 IEEE INDUSTRY APPLICATIONS CONFERENCE FORTY-SECOND IAS ANNUAL MEETING, VOLS. 1-5, 42nd Annual Meeting of the IEEE-Industry-Applications-Society, IEEE, New Orleans, LA, pp. 1360-1363. Pontt, J, Rodriguez, J, Martin, JS, Aguilera, R, Bernal, R & Newman, P 2006, 'Resonance mitigation and dynamical behavior of systems with harmonic filters for improving reliability in mining plants', CONFERENCE RECORD OF THE 2006 IEEE INDUSTRY APPLICATIONS CONFERENCE, FORTY-FIRST IAS ANNUAL MEETING, VOL 1-5, 41st Annual Meeting of the IEEE Industry-Applications-Society (IAS), IEEE, Tampa, FL, pp. 1298-1302. Multilevel converters uses a large amount of semiconductors. This allows to reconfigurate the converter to work even on internal fault condition. This paper presents a method to detect faulty cells in a cascaded multicell converter requiring just one voltage measurement per output phase. The method is based on high frequency harmonic analysis, using a dynamic prediction of their behavior, avoiding false detection on transients while keeps the precision under fault events. Once the faulty cell is detected, it can be shortcircuited allowing the converter to keep working according to previously reported techniques. © 2006 IEEE. Large drives fed by Cycloconverters (CCVs) are extensively applied in industrial and traction drives. For 12-pulse configurations, multi-winding transformers are employed. For high-power applications, three separated three-phase transformers with two secondary windings with starand delta connection are used. In this paper, a study and evaluation of the interharmonics currents behavior injected by CCV in the transformer windings is presented. Field measurements and simulations support the analysis. Results supports further improvements concerning design, engineering and operation issues. Lezana, P, Rodriguez, J, Aguilera, R & Silva, C 2006, 'Fault detection on multicell converter based on output voltage frequency analysis. ', IECON 2006 - 32ND ANNUAL CONFERENCE ON IEEE INDUSTRIAL ELECTRONICS, VOLS 1-11, 32nd Annual Conference of the IEEE-Industrial-Electronics-Society, IEEE, Paris, FRANCE, pp. 4450-+.